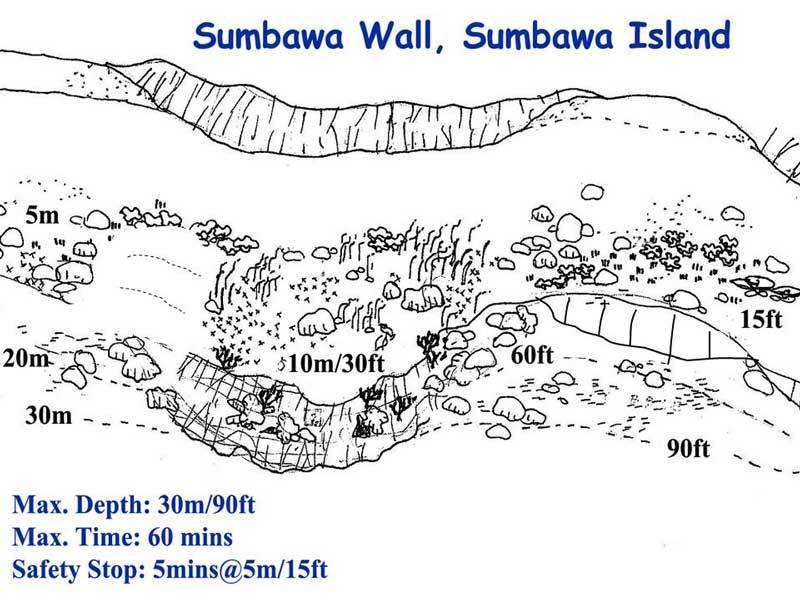 This dive is located off Sumbawa Point, Sumbawa Island. This is the north-westernmost point of the island. An approximate GPS mark for the dive spot is 8° 8' 52.2"S 117° 44' 7.3"E (using WGS84 as the datum). 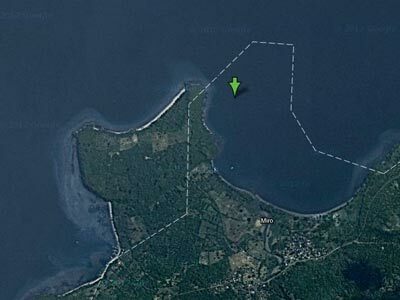 The site is located off the point to the south of the GPS mark. 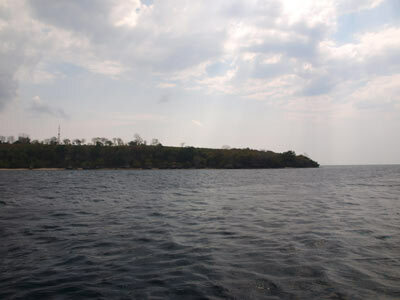 The actual site is located around the point, with the main site to the east of the point. As with virtually all dive sites that you do when on MV Mermaid II, you use the RIB (rigid inflatable boat) to get to the start of the dive (and also to get back to the boat). The RIB will drop you normally about 150 metres to the east of the point. At this spot, there is a sloping sand bottom which has some coral bommies. We dropped into five metres and then headed down to about 10 metres. We drifted to the west (I do not recall any current) and kept between 12 and 16 metres for about 16 minutes. After a short distance the coral mostly disappears and it is then more of a sand slope. Another 100 metres or so brings you back to a coral reef with a sloping wall. There is still a sandy bottom, but here it is mostly coral. The bottom is about 30 metres for most of this dive, but we hang around the 21 metre level, with a single excursion to 25 metres. 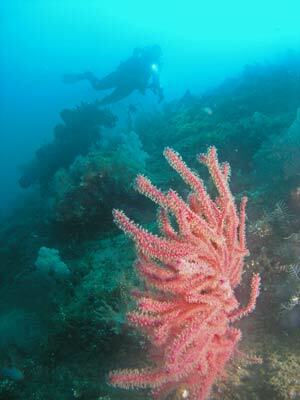 There are lots of small gorgonias and barrel sponges as well as soft coral and sea whips. Once we reach 26 metres, we start a gradual ascent over the next 24 minutes to 10 metres. There are heaps of things to see on this dive. 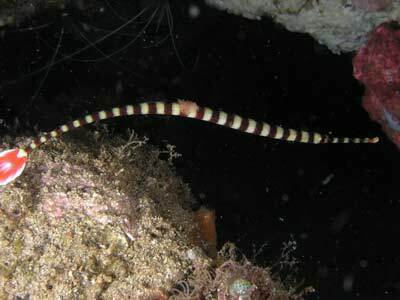 We saw a couple of octopus, two striped pipefish, two pygmy sea horses (impossible to find, the guides know where they are and will show you), two blue ribbon eels, the first I have ever seen. 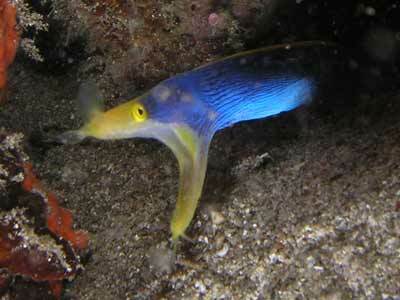 Once again there are not many real large fish, but all the normal reef fish are present. There are quite a few surgeonfish and wrasse and as normal, clownfish are present in the many anemones. As we get nearer to the point, the visibility improves (it was perhaps only 12 metres before) to about 20 metres. We spend the last almost 15 minutes at six metres or shallower. There is plenty to see here, including lots of nudibranchs and clownfish. This location has a flatter sand bottom and larger coral bommies. 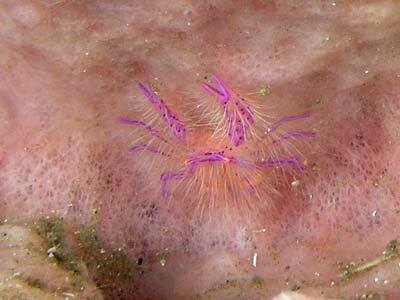 The bommies are particularly colourful, with lots of small sponges and gorgonias. After the end of the dive, like most dives we will do on this trip, we swim out a bit deeper away from the bommies and shore so that the RIBs can pick us up more safely. This was a very good dive site with a few of the very exciting things that make this part of the world so interesting for divers (pygmy sea horses for example). The visibility was probably 12 metres for the first 15 minutes of the dive and then 20 metres for the rest. The water temperature was about 27ºC. Click here to return to see the dive profile from my computer. A short video Kelly did of this dive.